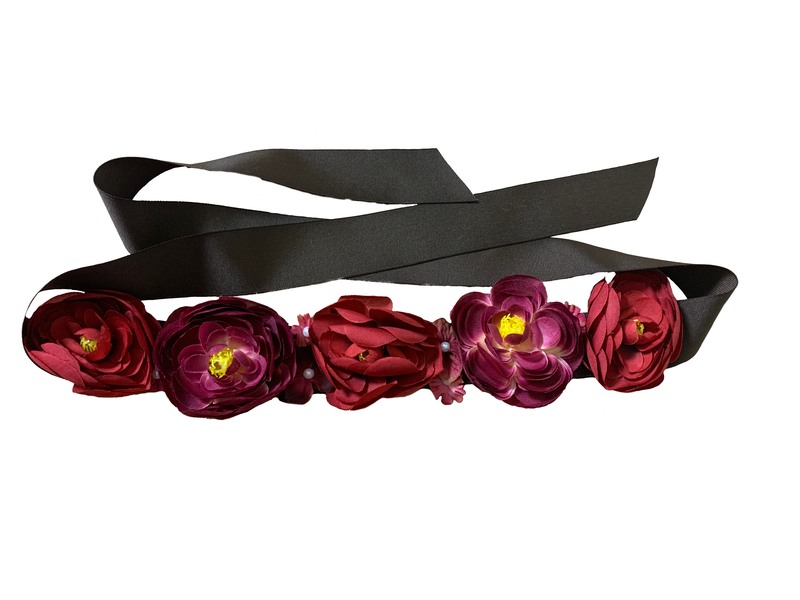 This adorable Floral Head Crown/ headband is perfect for any of your events. Each flower is delicately hand sewn into the brown gross grain ribbon also adorn with pearl beads. Color:(Burgundy, Wine, Flowers ) With White Pearl, Brown Gross Grain Ribbon. Sturdy,sweet and elegant. 56.5 Inch long Ribbon that makes it easier and comfortable to wear. Fit for most heads,for toddlers, little girls, big girls, women, etc,.. The flower size is about 7 inch, 3 inch to 1 inch. Measures about 14 inch all flowers. Suitable for weddings, bridal, bridesmaids, festivals, party, church, birthday, Coachella picnic, travel etc.